We have assisted organisations like SIA (Security Industry Association of America) by writing training manuals for their technicians. This Level I Study Guide was written in 2009, together with Howard Kohnstamm from US, who was assisting us with the US local installation practices, rules and regulations. You can find this book via the SIA web site, or download it here. Originally published in 1995, then updated in 1999 and 2005. The latest CCTV book "CCTV - from light to pixels"
by Vlado Damjanovski, was published by Elsevier in 2014.
light, optics, imaging chips, cameras, encoders, compressions, networking, transmission, to system design and testing. Order your signed copy below (please check stock first). You may find it quicker if you order your own copy via Amazon.com and bring it for signing during any seminar. We have assisted manufacturers, such as Dallmeier, to demystify and explain their technologies. The complicated Panomera effect was explained and illustrated for clear understanding. This booklet was illustrated and written by Vlado in 2014 and it’s published by Dallmeier in English and German languages. 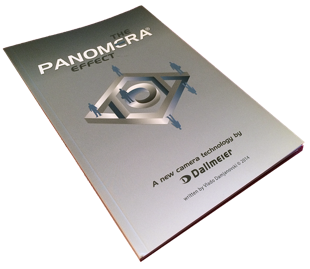 It is a free booklet and can be downloaded from the manufacturer’s web site here (Panomera). The books, by Vlado Damjanovski, have been translated into many languages (Korean and Russian copies as shown on left). “Great thanks for the exhaustive information which I found in your book “CCTV - from light to pixels”, across which I came very accidentally on the Internet. To be honest I could not believe there is another person from my country Macedonia who knows this area so well - this was very inspiring to me. I hope I will have the opportunity to attend one of your seminars and meet you in person. Quora: If I wanted to know everything about video analytic software is CCTV, which books/websites should I read? “I call this man - the Father of CCTV”. "... a complete and all-inclusive handbook of video monitoring systems that can be utilized effectively by security managers and security consultants. Keep it nearby as a ready reference for any CCTV related issues." "The third edition of this high-level professional reference is expanded to cover all video compression techniques used in the ever-increasing assortment of digital video recorders (DVRs) available on the market today…Fully illustrated with dozens of photographs, tables, checklists, charts, diagrams, and instructions, it is a valuable resource for security system designers, dealers, and installers; security managers; and security consultants." "CCTV is worth the money for anyone involved in the CCTV industry, including designers, installers, sales staff, security managers, consultants, and manufacturers." “Easy to understand. A very nice book. The description for the CCTV system is very helpful to us.